On Sunday, The Wall Street Journal misquoted President Trump words from an interview they conducted with him. The Journal transcribed the audio of Trump saying that he has a good relationship with the leader of North Korea. 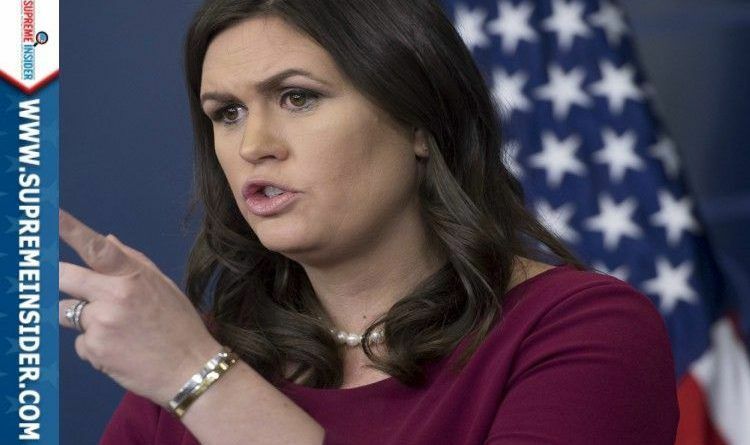 Addressing questions as to why the White House waited so long to raise their objections, White House press secretary Sarah Huckabee Sanders said they first contacted the Journal on Friday to request a correction when the paper published the full transcript. Well now, Sanders is weighing in — and she has audio. But the Journal is standing behind its transcript of the interview. It’s clear as day he said: “I’d”. And the amazing thing is that the WSJ put out a statement standing by their quote. Even when caught lying they still won’t retract. Unfortunately, this is what mainstream media has been doing all along, flipping Trump’s words around to fit their narrative. When Trump wanted to build a wall, or vet foreigners coming into this country, he got labeled a racist by the media, and CNN, MSNBC, CBS, ABC, NBC, and Hollywood have been running with that ever since. Fake News does exist and that is the real danger to this country and the rest of the world. What do you think? Share this article so can more people learn that WSJ misquoted President Trump!